Former Associated Press reporter Linda Deutsch spent years listening to courtroom testimony about the murder spree by Charles Manson and his cult-like “family” — including Leslie Van Houten. But Deutsch says Van Houten, the youngest of the so-called Manson girls, was always “different” from the other defendants. 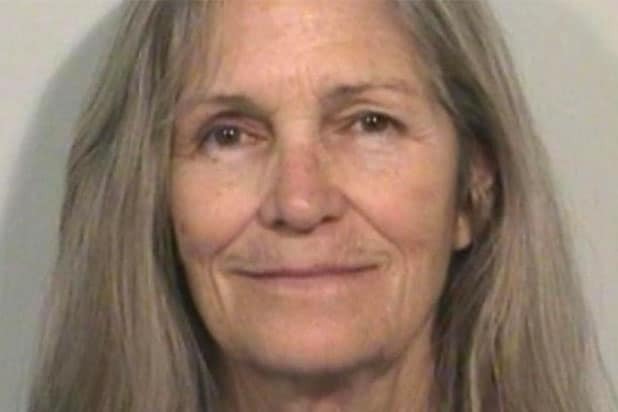 A state panel granted Van Houten parole on Sept. 6 after she spent nearly 50 years behind bars. Gov. Jerry Brown could overturn that decision — but Deutsch told TheWrap she doesn’t think he should. “She was the youngest and she was always seen to be the most vulnerable to Charlie,” Deutsch told TheWrap. Since retiring from the AP in 2015, she has visited Van Houten in prison several times, and found the now-68-year-old to be completely remorseful and reformed. Van Houten was 19 when she joined in the Manson Family killing of Leno and Rosemary LaBianca in their home on Aug. 9, 1969. The former homecoming queen testified that she stabbed Rosemary LaBianca 14 times. Van Houten was not present at nor charged with the family’s murder of movie director Roman Polanski’s pregnant wife, Sharon Tate, or the five others killed by Manson’s family. 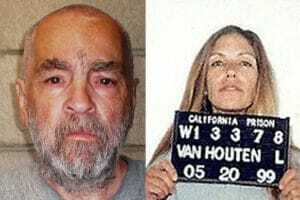 Based on her reporting about Van Houten’s three trials, Deutsch told TheWrap that Van Houten should be paroled because she “was the least culpable,” in part because she did not participate in both night-time killing sprees, unlike other members of the Manson group. Deutsch said it’s “ridiculous” to call Van Houten a danger to society today. She has visited Van Houten four or five times at the women’s prison east of Los Angeles, where they sit at outdoor picnic tables and talk about their lives. Before Deutsch visited Van Houten in prison, “I had never spoken to her before,” she said. Deutsch covered all Van Houten’s parole hearings except the last one at the California Institution for Women in Chino. Van Houten has worked inside the prison to help other women prisoners, and if she is freed, she will work at a center assisting other women transition from prison life, Deutsch said. During her 48 years as an AP reporter, Deutsch covered the most famous criminal trials in Los Angeles, from the acquittals of O.J. Simpson and singer Michael Jackson to the conviction of three Los Angeles police officers who beat Rodney King. Though she is no longer a reporter, she says she takes her notebooks when she visits Van Houten and plans to write a book. Not all prisoners are created equal -- some we like more than others. 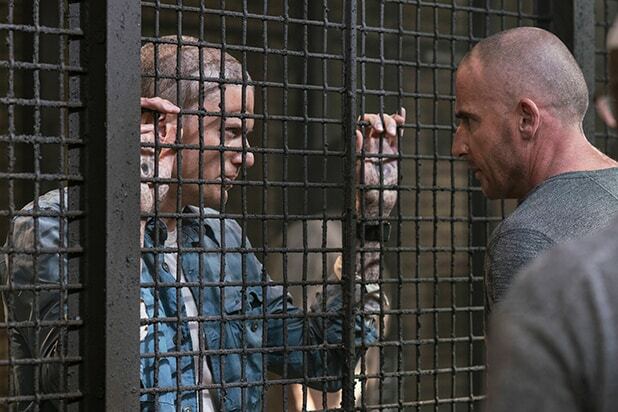 There's been eight years between the end of the original "Prison Break" ending and the revival beginning. It's too soon to decide where the new folks from the revival rank among the original cast, so for now we'll settle for ranking said old folks. He got whatever was coming to him. This dude was shady AF and could not be trusted at all. The worst part was that he tried to come off as helpful and trustworthy and all that stuff. No. No, no, no, no. He had some redeeming qualities -- at least in terms of but no. Whiny teenagers tho. Also no. Boooooooo. He was responsible for making sure Lincoln was framed for murder, but then at the end of the series he ends up helping the former escaped prisoners sooooooo ... eh. The most fun twist of "Prison Break" season 1 was that not only was Lincoln framed for killing Terence Steadman -- but that the dude hadn't even been murdered at all. He likes to paint himself as a tragic figure for having to stay locked up in a huge house but whatever, we're glad he died. The crazy guy who was the only one smart enough to understand Michael's tattoo after part of it got burned off. They owed him a spot on the escape crew because of that but they dumped him soon after the breakout -- and then he was the star of a bizarre subplot in which he murders some teenager's stepdad before killing himself when he was cornered by Mahone. Not sure what he added to the show to be honest. Building popsicle stick sculptures that you need the help of a genius inmate to build probably means you're not a great maximum security prison warden. We don't really know how we feel about James Whistler. He was low-key pretty shady and pretty much the only reason Michael was in Sona was because the Company (the conspirators responsible for every bad thing that happened on this show) wanted him there to break Whistler out. Either way, if the Company has an interest in him, Whistler has got to go. But we gotta hand it to him, the guy sure knew how to survive for a while. A villain who wasn't really that good at being a villain, considering how easily she's manipulated by the other people in the grand conspiracy to hate on Lincoln. Usually it's a bad thing when T-Bag brutally murders somebody, but this one we're cool with. The murder getting pinned on Bellick was just icing on the cake. In death, Roy became tolerable. Was the king of Sona until the good guys escaped and left him alone with T-Bag. That's not something that works out well for anybody, so no pity points here. Ughhhh, for the most part we don't like Mahone. He's smart, yes and has a mysterious past or whatever, but he can't be trusted.Even when he's seemingly good or helpful he just seems fake. Don't do drugs, kids -- they just end up getting you stuck carrying out the dirty work of a vast government conspiracy. Really obnoxious throughout season 1 before taking this sweet light romantic dramedy roadtrip with a college girl. But Tweener's ultimate fate was really just to be a plot device to show Mahone's true colors -- Mahone straight up blasted Tweener once he found him, cutting short his brief time to shine as a character who wasn't awful. Abruzzi is just whatever.He lets his love for revenge and holding grudge lead him down some wrong paths which is what eventually gets him caught up. In short, not the brightest dude. But, hey, Peter Stormare can't help but be fun. She's got what you'd call an attitude problem, but she softens from her cartoonish villainy to a real person by the end of the series, when she helps Sara when the third prison break on the show happens in "The Final Break." He's the type of guy who has like a Napoleon personality. His ego is just too huge for what he's really capable of. Although at first, he was just a mean and salty guy, as the season progressed we find out that he actually isn't as bad as we first thought. He's not our favorite dude, but he definitely sacrificed his life to save others. Eh, she started off kinda annoying but homegirl is cool now. She's mostly introverted so we don't get to see much of her personality or know how much we like her, but she's a respectful and cordial person who for the most part usually does the right thing. She's kinda a mom about everything. She broke up with James Whistler's after figuring out that she couldn't trust him so that alone means she's pretty smart. She also found ways to sneak messages to Whistler while he was in Sona and figured out the connection between Michael and her then boyfriend. She's a dope girl and we could totally be besties with her. After understanding how Lincoln took care of his younger brother Michael, we can understand why the latter would put himself in that situation to save his fam. Burrows basically is like a big, scary, intimidating man with a soft, sweet and cuddly inside that you just want to hug. She had her bae's -- Lincoln Burrows -- back and his brother's the entire time.She's definitely a ride or die lady and it's sad that she had to actually die. This is the definition of a ride or die best friend -- take notes people. He stays putting his life at risk for his boy Michael. Plus he was still loyal to his bae Maricruz even though she was planning on marrying another man. C-Note is the man. That's all. He was a good guy but ended up in prison because of the system is corrupt. He cares deeply about his family and we can definitely respect him for that. Yaaassss bae! We love this man. First off, he's a genius -- let's see any of you break out of 163,893 prisons. He's selfless -- he put himself in jail to save his brother. Who does that?! He's compassionate--he helped like a million other people escape with him. Plus, he's the most beautiful human being ever. What's not to love?